28 Top Christmas Crafts from January – Which is Your Favorite? Are you a Crafty Christmas Ideas subscriber? 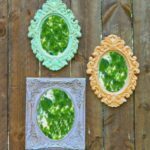 AllFreeChristmasCrafts’ thrice-weekly newsletter is filled with DIY ideas, tutorials and projects that you can work on all year long. The Christmas season is the most wonderful time of the year, so why not keep it going even when the season is over? Whether you like to craft with the family or make something more complicated on your own, you’ll always find Christmas tutorials that suit your needs. We’ve rounded up 28 Popular Christmas Crafts from January and we’re sharing them with you. Sign up for the newsletter and help us pick next month’s top projects! 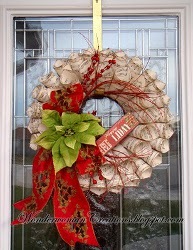 Musical Christmas Wreath – Use a cardboard wreath form and old sheet music (or scrapbook papers) to decorate your door. 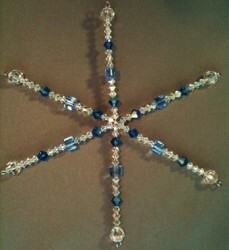 Crystal Snowflake Ornaments – Wire and beads – that’s all you need to create your own ornament. This tutorial is also featured in our latest eBook, How to Make Ornaments: 10 Christmas Ornaments to Make. You might think that January mean the end of Christmas crafting, but think again! Last month, Crafty Christmas Ideas readers were out in full force and they loved everything from snowmen to festive wreaths. It seems that the more versatile the craft, the more popular it was with readers. For instance, the Birdie Ornament isn’t overtly Christmas-related (no Santa, snowmen or religious connotation), but it can be hung on a Christmas tree and made in an afternoon. Similarly, the 10 Minute Fabric Bracelet makes a great Christmas gift and can be worn to a holiday celebration. Best of all, it won’t go out of style and can be worn all year. This isn’t to say that winter-themed projects weren’t popular. 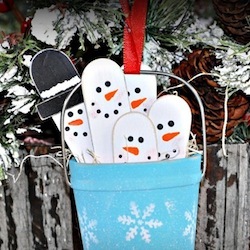 Snowmen and snowflake crafts were huge in January which makes sense considering this month is notoriously snowy! Readers loved turning their warm homes into a winter wonderland. January is the perfect time to stay inside and get creative. Which one is your favorite? Log on to the site and leave a comment on your favorite project. Be sure to tell us why it’s your favorite! First of all, happy New Year! Can you believe it’s 2012 already? I vividly remember the start of 2011 and can’t believe a full 365 days have passed since then. As they say, time flies when you’re having fun… crafting! If December was any indication, you guys were certainly having a blast crafting for the holidays. 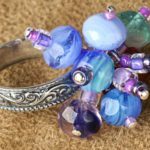 Some of the most popular crafts of the year came from our December newsletters, which is no surprise considering Christmas is the best holiday to craft for, in my humble opinion at least! There’s just so much you can make for Christmas – from wreaths to ornaments to homemade gifts and cards and so much more! ‘Tis the season for creativity! It seems that you guys were really into recycling, reusing and repurposing old and unusual materials in your Christmas crafting this year. Not only does this lead to some of the cutest and most unique projects, like the Coffee Filter Christmas Trees and the wreath from toilet paper rolls, but it also helps the environment. Talk about win win! I also noticed that a lot of the top projects were ones that are easy on the wallet. 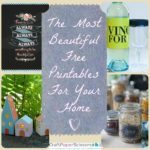 We all know crafting can get expensive pretty quickly, so I love that a bunch of the Top 10 projects are thrifty and inexpensive to make. One of my absolute favorites is the Super Easy Dollar Tree Ornament Wreath because, let’s be honest, who doesn’t love the dollar store? 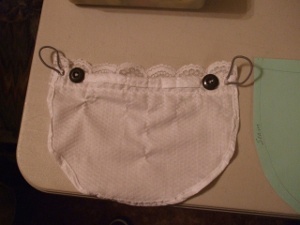 This particular project is great because you only need two supplies, and one of them is an old hanger which you already have in your closet! 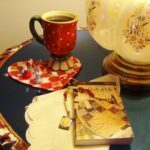 Make sure you check out the complete list of the top 10 holiday craft projects from December 2011 and make note of your favorites to make for next Christmas! There’s nothing like getting a head start on your holiday crafting way far in advance! Plus, if you get started now, you can get most of the supplies at marked-down prices and save yourself a bunch of money. I hope you enjoy the collection and please keep checking back at AllFreeHolidayCrafts.com for more project ideas for ALL of your favorite holidays! I can’t wait to start crafting for Valentine’s Day 2012! Which of the top 10 projects from December is YOUR favorite? Let us know by leaving a comment below! 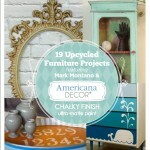 You can see all 10 craft projects in this handy dandy collection! Which was your favorite this month? August and afghans are two of nature’s best insulators, due to the innate warming properties of the letter “A.” It’s probably no surprise then that we’ve had a wonderful crop of patterns in the last month, including the gorgeous Fall Colors Ripple afghan and the elegant Bridal Wreath Bedspread. If you’ve missed any of our first class offerings over the last month, why not subscribe to our newsletter Laying It All Out? It’s the best way to keep abreast of all our newest patterns! Can you believe that May is already a week old? Well, you know what that means–it’s time to count down the top 5 craft projects from last month. These are the projects that FaveCrafts readers loved the most in April. But before I show them to you, make sure you catch up on last month’s recap, the Top 5 Crafts of March! 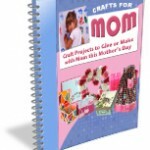 And of course, check out what was popular on our sister sites last month as well in FaveCrafts Most Popular Craft Projects: April 2011. What in the world is the “Cleavage Be Gone?” It’s exactly what it sounds like–you wear it under your shirt and hook it around your bra to cover up for modesty’s sake. A lot of FaveCrafts readers complain that they can’t find modest shirts anymore, so the Cleavage Be Gone is a God send to them! 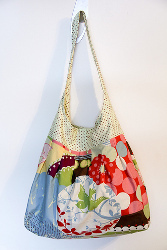 We debuted this easy sewing pattern way back in October of 2010, but you guys loved it just as much in April! By the way, have you seen our Cold Weather Knit Dickie? It seems that FaveCrafts readers love a good butterfly motif. Is this true? I definitely love butterfly crafts; they’re so pretty and they just scream “SPRING!” You guys loved this cute little bag in our spring crochet issue from 4/14. How many of you tried the pattern? By the way, have you seen our Crochet Flower Clutch? With a name like that, this baby blanket pattern has a lot to live up to! But it really does look extremely cozy and soft. Next time I get invited to a baby shower, I’m going straight to this pattern for the gift. We sent out a newsletter issue full of vintage baby blankets on 4/22, and this pattern was your favorite one! And I can see why. By the way, have you seen our Baby Love eBook from Red Heart Yarns? 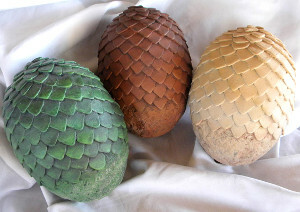 I’m sad that Easter is over because it means I won’t be seeing adorable crafts like this anymore. But there are plenty of other dollar store crafts to hold me over! If there’s anything I love more than Easter crafts it’s dollar store crafts. It looks like FaveCrafts readers like them too! 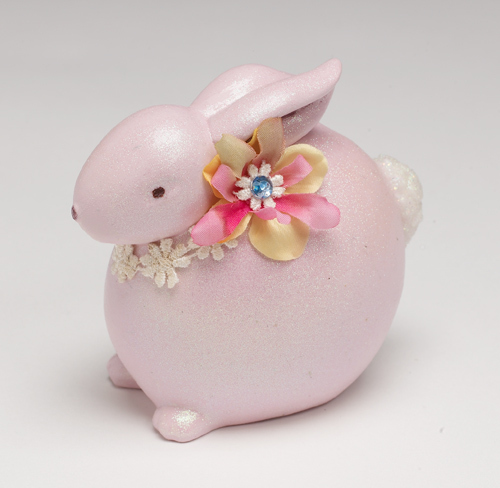 We featured this little guy in our Easter issue on 4/5, and he was a big hit! By the way, have you seen our Dollar Store Petal Skirt (I made it myself!)? 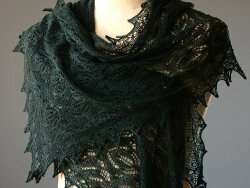 And now for my favorite part, the most popular project from April! This project has been…how shall I put this?…controversial, to say the least. Check out some of our readers’ comments (and add your own!). Perhaps this angel is more infamous than popular. But nevertheless, it certainly piqued your interest! We featured it in our “Wacky, Weird, and Wonderful Crafts” issue (the same issue as the Cleavage Be Gone!) and you guys went nuts over it. Would you ever hang an old tampon on your Christmas tree? I know I would! I think it’s kitschy. Am I just gross? By the way, have you seen our Delicate Crochet Angel Doll? If you’re sad that you missed the rest of our top projects and our wildly popular newsletters, head over here to subscribe. It’s free! 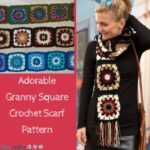 And don’t miss our Most Popular Crafts from every month. Hi Sewists! At the end of the every month I put together a collection of the most popular projects. Why? Hopefully I’ve given you enough reason to at least check out the top projects of last month. In April I had fun adding a ton of spring projects. From spring bags and purses to handy ideas (literally) like the Hand Sanitizer Holder, a wide range of projects were deemed the best. 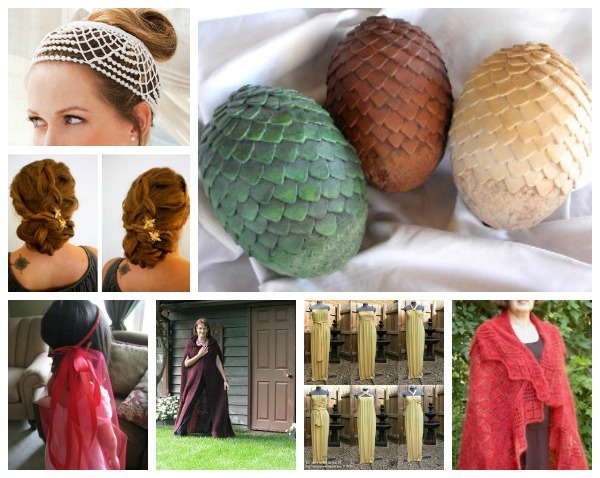 Here are a few that the AllFreeSewing community chose as favorites. Feeling left out? If you’re not already subscribed to receive our daily newsletters, you’re missing out! Don’t worry, we’ll let you in our club. That way, next month you’ll know you helped choose these projects. What’s even better? 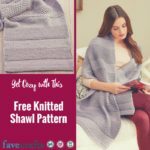 Once you start receiving our newsletters you’ll always be up to date on sewing news and giveaways! Yep, we’ll actually give you stuff along with these free ideas. 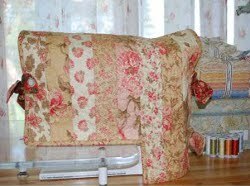 For the full collection, visit The Top Sewing Projects of April 2011. So, did your favorites make the cut?